By attending, you are joining us to stand with the banned. In September, the President set the lowest refugee cap in the history of the modern resettlement program, from 110,000 down to 45,000. Resettlement is a lifeline available only to those most at-risk refugees, whose safety cannot be assured without it. Help us show our refugee neighbors they are safe from harm, welcome, and free to make the Wasatch their new home. Share with your family, friends, and coworkers to raise your voice in support of refugees. We'll see you in April! How: More Information and Buy Tickets. 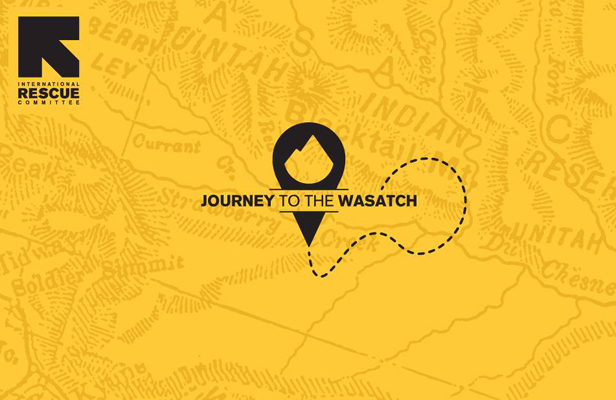 Meet the Spice Kitchen Incubator chefs catering Journey to the Wasatch this year! Chef Abudu, of Kafe Mamai, is excited to offer his Afro-Caribbean fusion cuisine to Salt Lake City: "It is time to showcase my own experience to the world." Abudu moved to the United States in 2001. From the island of Lamu off the coast of Kenya, Abudu worked in the kitchen since he was a child, then in various positions at restaurants. Abudu plans to serve coconut shrimp with mango papaya habañero chutney and baked sambusa. Chefs Jung and Kim, brothers from Seong-Nam, South Korea, moved to Utah in 2009. Dreaming of sharing authentic Korean dishes in their new community, the brothers opened Ahtti Korean Munchies, a food trailer found at farmers markets, Kiitos Brewing, and many other locations. Jung and Kim plan to serve Korean BBQ munchies, including Kimchi Jeon and Dak-kko-chi. Chef Mayan, of Zahko Kurdish Cuisine, grew up in the kitchen watching her mother cook, little fingers reaching out to taste everything. Mayan’s favorite thing to do is cook and share her food with others. Now, Mayan passes on her Kurdish culinary traditions to her daughter. For Mayan, cooking and eating is family time. Serving traditional Kurdish cuisine made from scratch, Mayan uses unique Middle Eastern spices to add flavor to her dishes. Mayan plans to serve coconut borek, Kurdish cookies and koletcha alongside tea, provided by Tea Grotto, and coffee, provided by Blue Copper Roasters. Chef Michaela, of M Bakeshop, who was born and raised in the snowy peaks of Austria, started cooking with her mother and grandparents as soon as she was tall enough to reach the stovetop. She studied various specialized diets and offers healthy meals from organic and locally-sourced ingredients as a personal chef. Michaela caters gourmet cakes and desserts for large celebrations and weddings! Michaela plans to serve delicate, fruity cupcakes as Journey to the Wasatch's show-stopping dessert. The International Rescue Committee (IRC) responds to the world’s worst humanitarian crises, helping to restore health, safety, education, economic well-being, and power to people devastated by conflict and disaster. Founded in 1933 at the call of Albert Einstein, the IRC is at work in over 40 countries and 25 U.S. cities helping people to survive, reclaim control of their future and strengthen their communities. Questions? Email us at SaltLakeCity@Rescue.org.